Collects Fantastic Four (1961) #164-176. The return of a hero! A clash of titans! Team roster shakeups! 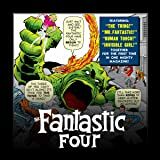 The sensational seventies serve as the source of some of the FF's most scintillating sagas as this colossal collection proves beyond a doubt! First, revisit one of Marvel's Atlas Era gladiators, the Crusader, as he makes his pulse-pounding return to Earth! 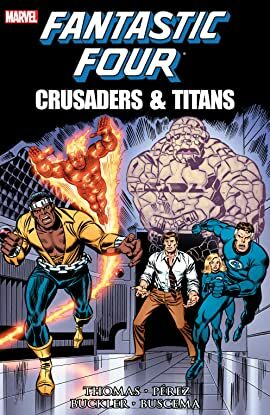 Then, mania ensues as the Thing "Hulks out" with his new tag-team partner, only to see his own FF membership placed in jeopardy by the most unlikely replacement member of all! Finally, soar to the stars as our fearless foursome vies against Galactus and his most "destructive" herald yet, only to be dealt an "impossible" situation back home!